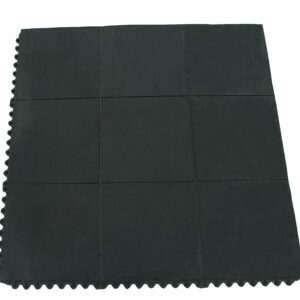 Our Turf Protection Mesh is a lightweight polyethylene mesh manufactured from 100% recycled high-density polyethylene. 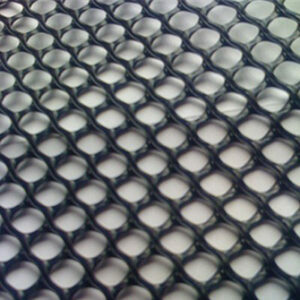 Our mesh is UV stabilized and simple to install. 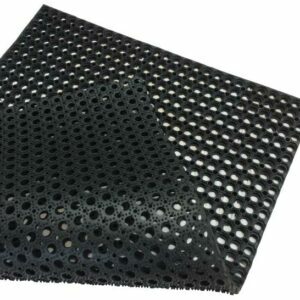 Turf protection Mesh is best used where occasional light vehicular or pedestrian use is required and ground conditions are already good. Please note, if the area already suffers from mud, smearing and general wear this product is not suitable. 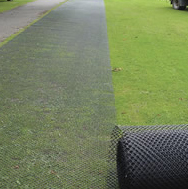 Turf protection mesh should be used to prevent the above issues rather than fixing them. For a more hard wearing option on already damaged areas please see our Heavy Duty Grass Protection Mesh. After cutting the grass short, the mesh is unrolled and pinned to the surface using metal u pins or plastic pegs. By allowing the grass to grow through the mesh apertures, the sward intertwines with the mesh filaments creating a strong, discreetly reinforced surface. It is advisable to allow the grass to fully establish before the area is used. Usually leaving it for 5-6 cuts (depending on the season) or until the mesh is no longer visible to create a stronger reinforced surface. It is recommended that installation be completed during the growing season giving the mesh time to interlock with the grass roots creating a strong base ready for the colder months. Our mesh can also be laid on top of well drained, seeded soil, pinned and then covered with top soil and another layer of seed. Within a few weeks the grass should start to grow through the mesh creating a reinforced natural grassed surface ready to be mowed and used as normal.